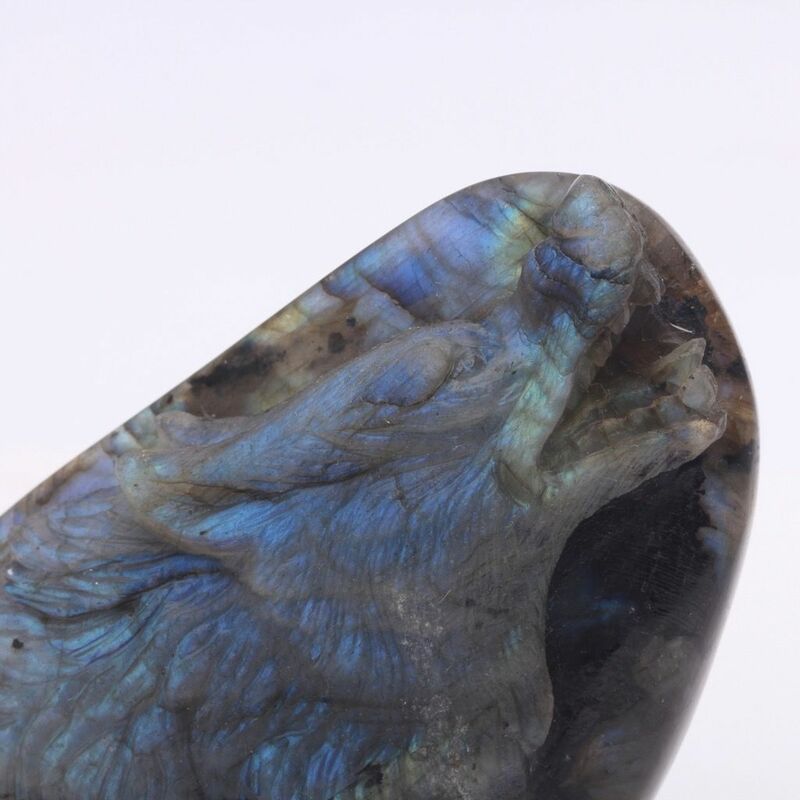 Labradorite is a cool grey colour, shot through with flashes of iridescent green, gold and blue. 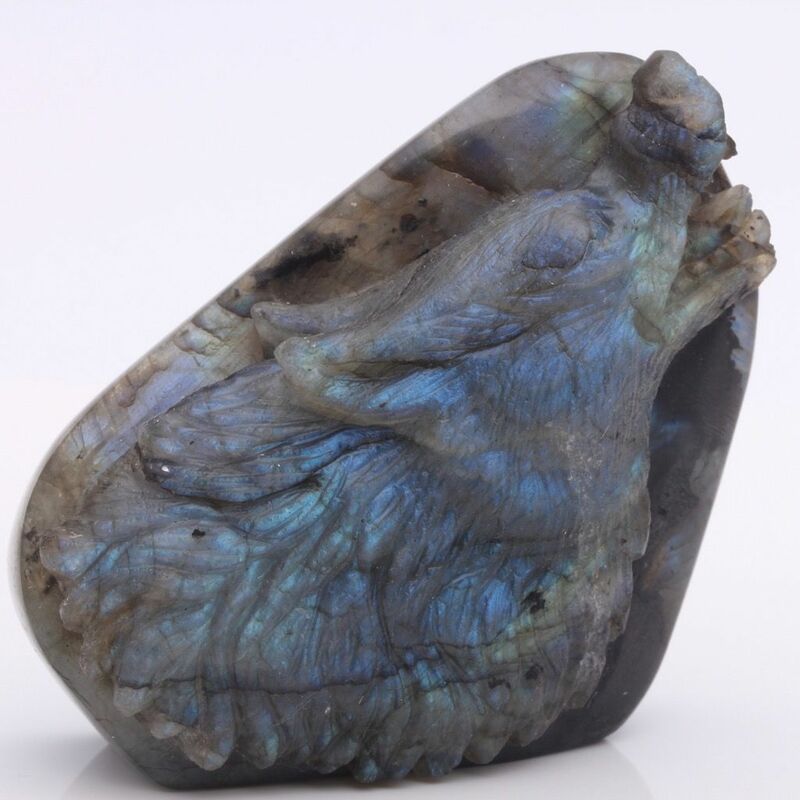 Labradorite is said to protect and renew. Named Old Warrior's Stone, it is believed to refresh the energy of weary souls, keeping the aura clear and protected. It balances and protects the aura, raises consciousness and grounds spiritual energies. 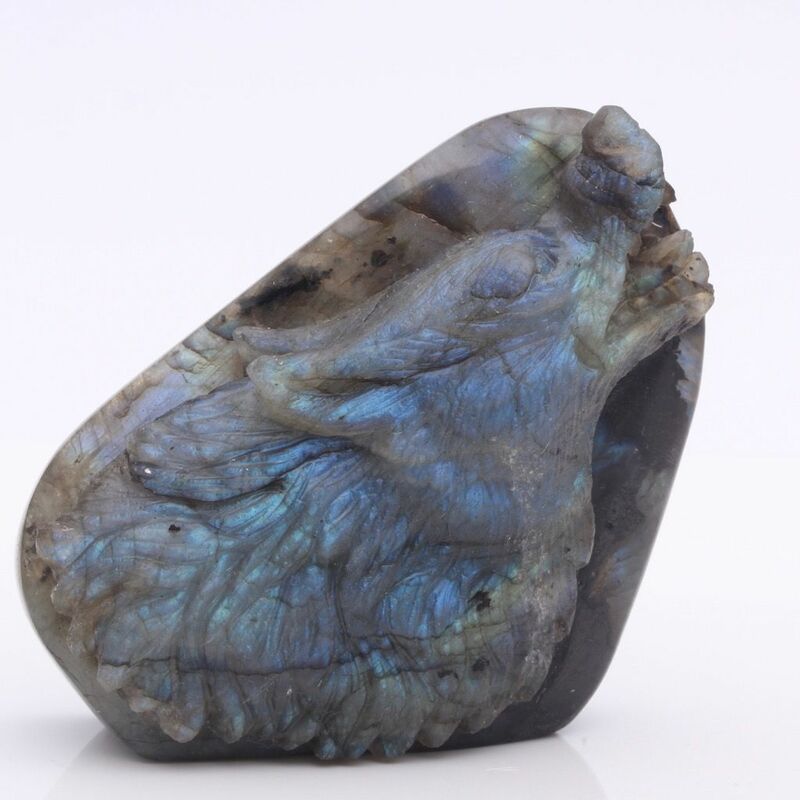 Excellent for strengthening intuition-promoting psychic abilities. 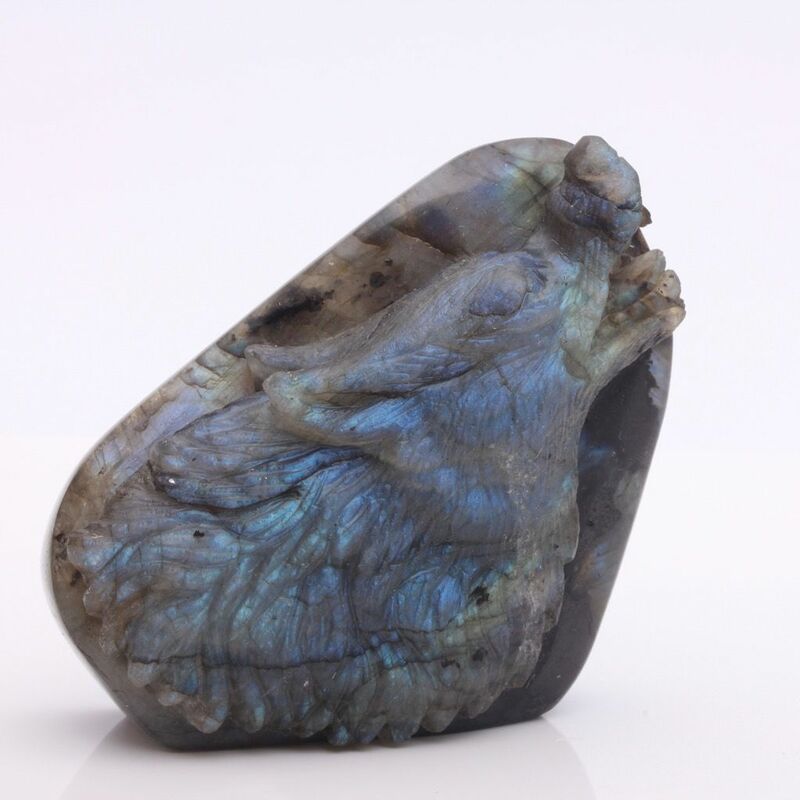 Powerful in revealing the truth behind illusions, Labradorite washes away fears and insecurities, and strengthens faith in the self and trust in the universe. It stimulates the imagination and calms an overactive mind, developing enthusiasm and new ideas. 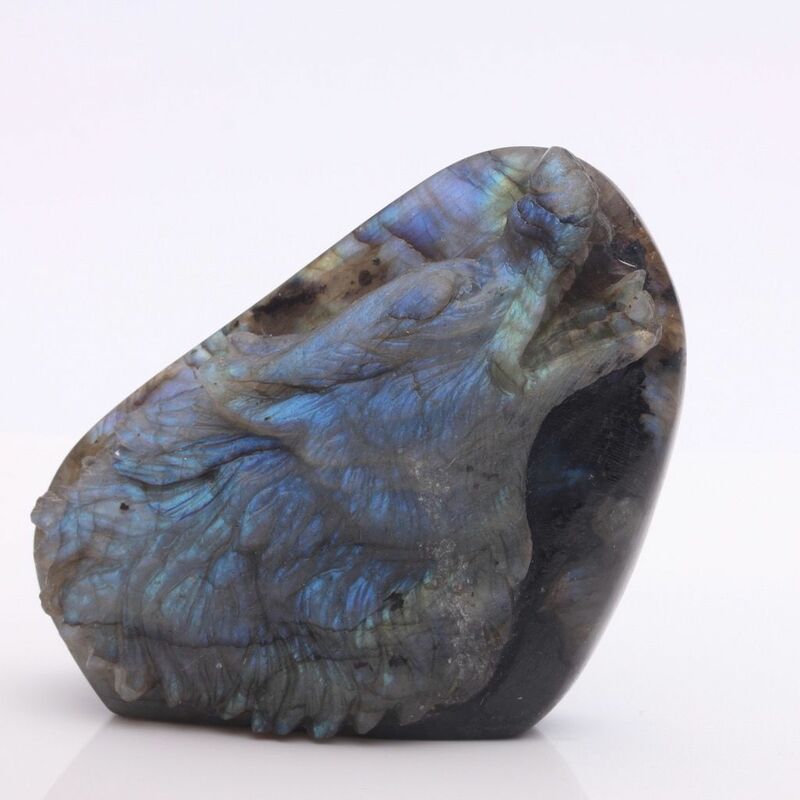 Labradorite is said to treat disorders of the eyes and brain, and relieves anxiety and stress.